St. Petersburg is the second largest city within the Tampa Bay Area in Florida and is a popular vacation destination. Known as the “Sunshine City,” St. Petersburg offers an average of 361 days of sunshine and clear skies, as well as 244 miles of stunning coastline along the Gulf of Mexico and Tampa Bay. Being home to six art districts and many art museums, the city is also recognized as a top destination for the arts. It is home to numerous art museums and galleries and performing arts galleries, a few of them being Salvador Dali Museum, Museum of Fine Arts and Florida Holocaust Museum. The downtown district offers an abundance of entertainment for residents and visitors with restaurants, retail shops, and museums. There is always something to keep you busy! The entertainment possibilities are endless. Possessing a prime location along the shoreline, there is no lack of beautiful beaches including Ft. De Soto Park, one the nation’s top ranked beach, boat ramp locations and so much more. Enjoy over 100 different parks including the Boyd Hill Nature Preserve, St. Pete Beach or the Weedon Island Preserve. If you are in search of exciting nightlife and endless shopping and dining destinations, be sure to visit the Downtown St. Petersburg area, located along a waterfront walkway. Sports fan? Be sure to catch a Tampa Bay Rays game at Tropicana Field. You can always find a new form of entertainment when you make St. Petersburg your home. The city has also become one of the most successful spots for new businesses as it remains a top cost effective region in the country to conduct business. St. Petersburg is also home to several colleges and universities including The University of South Florida St. Petersburg, Eckerd College, and St. Petersburg College, giving residents plenty of education and employment opportunities. Aspen Square Management owns and manages two different apartment communities near St. Petersburg – Preserve at Alafia and Stillwater Palms. The Preserve at Alafia, located in Riverview, Florida, offers luxury apartments near St. Petersburg with a stunning resident clubhouse and so much more. The Preserve at Alafia offers 1, 2 and 3 bedroom luxury apartments near St. Petersburg College. 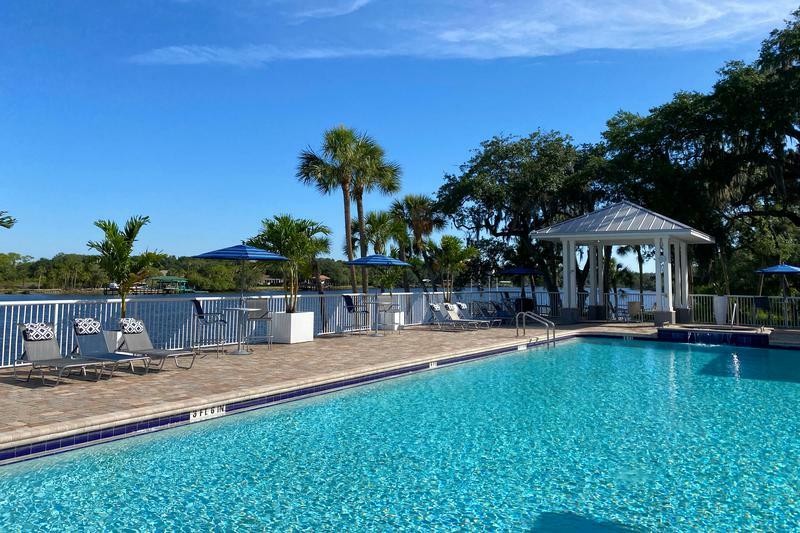 The Preserve is located along the Alafia River and features a waterfront swimming pool and even offers free kayak and boat rentals for residents. Located in Palm Harbor, FL is Stillwater Palms featuring 1 and 2 bedroom apartments near St. Petersburg. Enjoy lakeside living with boat parking and complimentary coffee bar whenever you visit our clubhouse to get work done or talk to our staff. Both apartment communities feature modern, up-to-date kitchens with white cabinetry, stainless steel appliances, and granite-style countertops. Enjoy plenty of storage with walk-in closets with built-in shelving to keep your belongings organized. Never have a humid day in your home with central AC and heat, and multi-speed fans. With wood-style floor, a private balcony/patio, and a great location, you’ll be living the luxury life! Our apartment communities are pet-friendly, even for the largest breeds of dog. With monthly pet events and a dog park with agility obstacles, you furry friend will have a blast! Both communities also feature resort-style pools with expansive sun decks, picnic and grilling area and hammock gardens for you to relax in. Need to get in shape? There’s no need to drive to a gym with our 24 hour fitness studio on-site. We have everything you’ll need from cardio equipment, strength training and even yoga. 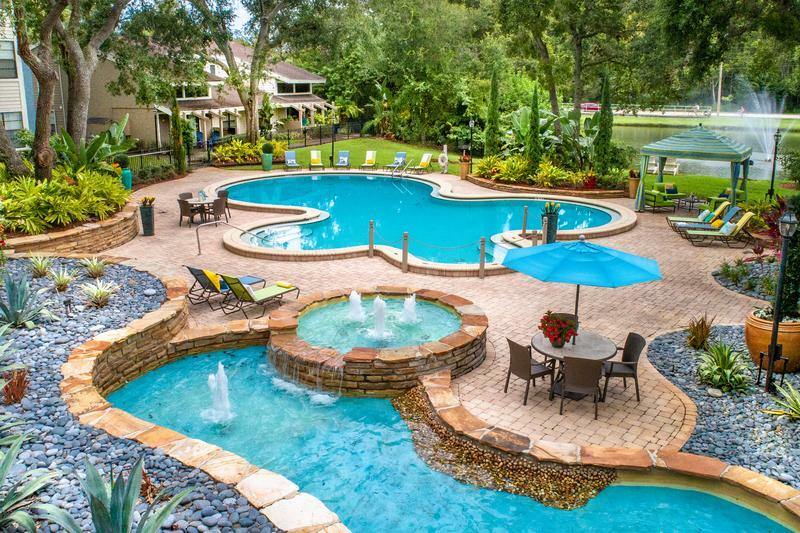 See what everyone has been talking about and explore Preserve at Alafia and Stillwater Palms!